No matter what your idea of a paradise holiday is, in Australia you don’t have to go far to find it all. With long white beaches, fascinating wildlife, sweeping open plains, and vibrant cities, our home nation really does have it all. When people think of this beautiful country, the Great Barrier Reef is often the first thing that springs to mind. Dipping beneath the azure waters reveals a whole other world residing under the surface, with exotic fish winding between towering trees of brightly coloured coral. Back on land, long stretched of white beach meet the lush greenery of the rainforest, alive with the calls of wild animals that can’t be found anywhere else on Earth. Elsewhere, there are vibrant cities all across Australia, home to some of the most exciting food, culture, and art scenes around. Whether you want to discover a beach paradise, get closer to nature, or learn about the history and culture of the indigenous people, a cruise around Australia is the perfect way to discover everything this beautiful country has to offer. If you want some inspiration on where to visit, and what to do, or are simply curious about all that Australia has to offer, check out our comprehensive guide. Combining destination guides with all the highlights of food, wine, culture and history across Australia, we’ve provided all the info you need to enjoy a trip around this amazing part of the world. Australia is more than just sandy beaches and long, sunny days, with each state boasting its own special vibe. Here we’ve provided a whistle-stop tour of all the best things to see and do in mainland Australia, to help you get a real feel for the identity of each area. Just follow our guides and you won’t miss any of the highlights of a trip around Australia. Australia’s third largest city is often overlooked for its more stylish cousins, but there is plenty to discover in this relaxed, historic city. Home to the stunning Mount Coot-tha Botanic Gardens, and a favourite of whale watchers thanks to its superb location on the coast, Brisbane is a surprisingly good place to discover the wildlife of Australia. It has the added bonus of being home to some of Australia’s most exciting restaurants, which are taking local produce and reinventing them into taste bud-tingling dishes. Brisbane gives a city break experience like no other. Sydney is the undeniable iconic king of Australian cities, from the postcard-bothering opera house to the infamous Bondi beach. Sydney is as charming as it is picturesque, with the old town providing a tourist’s paradise of independent shops, cafes and restaurants. Head out to the beach when the city hubbub gets a little too much for you, and drink in the wonderful atmosphere of Sydney’s many sandy beaches. An unmissable experience for anyone travelling around Australia, whether for the first or the thousandth time. Melbourne is often regarded as the cultural capital of Australia, with its wealth of art, culture, and fantastic night life. The beautiful architecture alone is reason enough to visit this vibrant Australian city, although you’ll be so busy having fun you might forget to stop and take it all in. The historic tram is completely free, and the perfect way to see all of the amazing sights of Melbourne. With loads of amazing restaurants, historical streets, and exciting shopping districts, you’ll be spoilt for choice on what to do next in this beautiful city. Nestled between the desert and the sweeping coast of the Indian Ocean, Perth is one of Australia’s foremost metropolises. Owing its rapid growth to the Gold Rush, Perth is a flourishing port city and a popular tourist destination. Steeped in history and surrounded by some of the best wine growing country in Australia, this city has an abundance of cultural highlights for visitors to discover. An influx of immigrant in the 19th century means that Perth also benefits from having an amazing restaurant scene, serving a wide range of national and international cuisines. When people tour Australia, the Great Barrier reef is often top of the ‘to-do’ list. With sweeping stretches of pristine white beach edging an azure ocean that hides an entire world beneath its surface, this really is the ultimate holiday destination. With everything from snorkelling and diving, to exploring the surrounding rainforest, no matter how many times you visit the great Barrier reef there will always be more to discover. Australia’s Indigenous people have an incredibly rich cultural heritage stretching back thousands of years. There are places all over Australia where you can see incredible cave art, learn about how ancient people lived, and discover the contemporary art and culture of the Aboriginal people. Australia’s wine is famous across the world for its variety and quality alike. The wine regions in each state produce different varieties of grape depending on climate. A trip to the Australian wine regions is a treat for all the senses, with rolling green hills meeting the mountains in the distance as you taste some of the best wine in the world on the vineyards where it was produced. Tasmania’s unique microclimate makes it the perfect place to escape the sizzling sunshine of Australia’s mainland. Spring is the best time of year to revel in the beauty of the changing seasons on this gorgeous Australian island. From discovering majestic waterfalls and trekking your way through hushed, mystical forests to picking your own raspberries, Tasmanian spring really has it all. With so much to see and do, you’ll never want to leave this lush, green paradise. Port Arthur was once home to Australia’s most notorious convict prison under the British Empire, and the World Heritage Site that remains to this day offers a fascinating insight into the life of both those incarcerated and those who worked there. There are plenty of amazing places to explore at Port Arthur, from the various prison buildings to the amazing Port Arthur Unzoo. Tasmania is quickly making a name for itself with vibrant foodie scenes springing up all over the island. Using the abundance of outstanding local produce, chefs both young and experienced are finding ways to create dishes that are exciting, innovative, and get your taste buds crying out for more. Looking to book a cruise around this incredible continent? 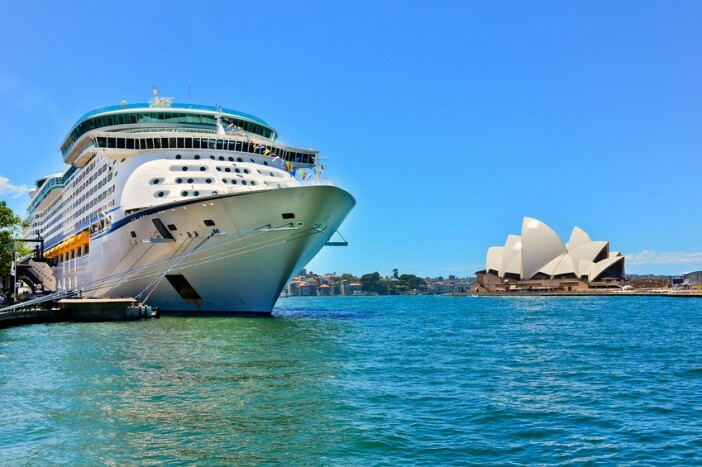 Check out out full range of Australia cruises or call our friendly team on 1300 857 345 for more information.